As Okomu Oil Palm Plc plans to hold its first Annual General Meeting (AGM) in Benin City, the Edo State Governor, Mr. Godwin Obaseki, has assured stakeholders in the oil palm industry of his support for the establishment of an oil palm council in Nigeria. Obaseki gave the assurance when he attended the Pre-Annual General Meeting (AGM) Dinner held by Okomi Oil Palm Plc in Benin City, Edo State Capital. The governor said he would work with successful oil palm companies for the establishment of the council before the end of 2018. He explained that with a council in place, Nigeria would be positioned to cultivate one million hectares of oil palm in the next five years. He averred that the establishment of such a council will return the country as the largest producer of oil palm in the world. According to him, his administration has plans to ensure Edo becomes a major oil palm producing state, as well as support local and foreign investment in the oil palm value chain. He commended Okumo Oil Palm Plc for hosting its AGM in the state, noting that the state was privileged to accommodate the company, which is listed in the Nigerian Stock Exchange. Board Chairman, Okomu Oil Palm Plc, Gbenga Oyebode, lauded Governor Obaseki for his support for the company especially on the plans for the company’s expansion. 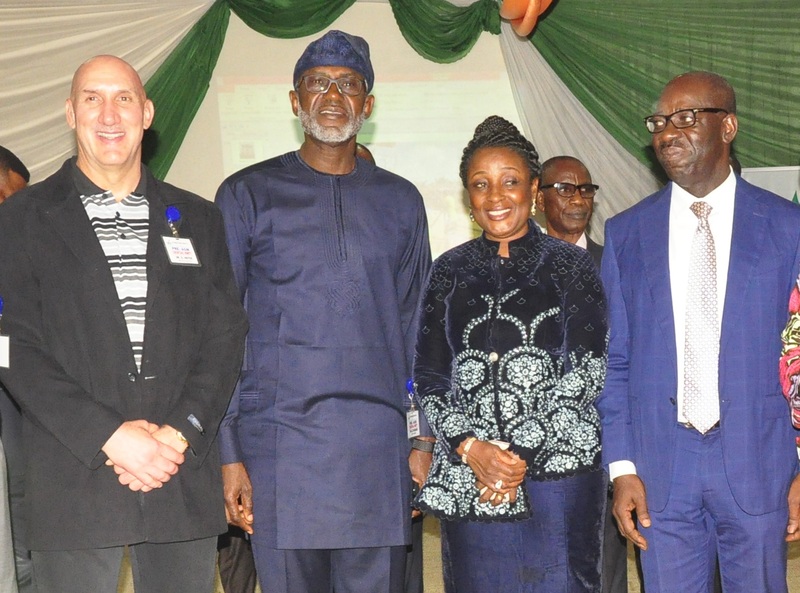 L-R: Edo State Governor, Mr. Godwin Obaseki; his wife, Mrs. Betsy; Chairman, Board of Directors, Okomu Oil Palm Plc, Dr. Gbenga Oyebode, and Managing Director, Okomo Oil Palm Company Plc., Graham Hefer, at the Okomi Oil Palm Plc’s Pre-Annual General Meeting (AGM) Dinner in Benin City, the Edo State capital.